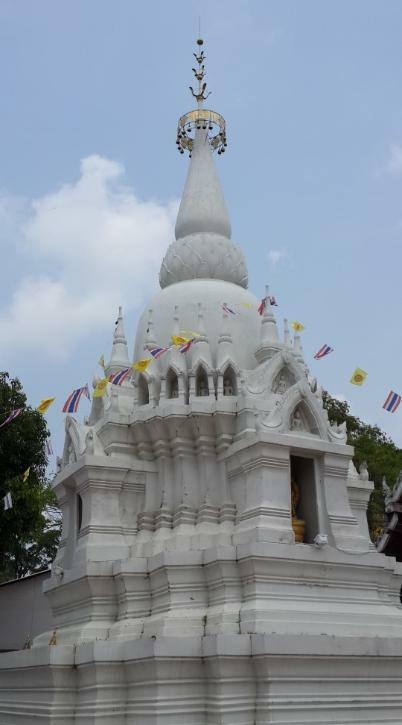 era, the western arm was called after the main area where it flows through, being Mueang Phraek Sri Racha. that King Borommaracha I invaded Sukhothai and captured several northern towns. Borommathat, and the present origin of the Noi River, situated east of the temple, is a man-dug canal. the Ayutthaya and Rattanakosin periods and features the characteristics of the U Thong architectural style (a small stupa - Early Ayutthaya period). for royal temples initiated in 1913, Wat Phra Borommathat bears the suffix 'worawihan' and is as thus a second-class royal temple of the fourth grade. 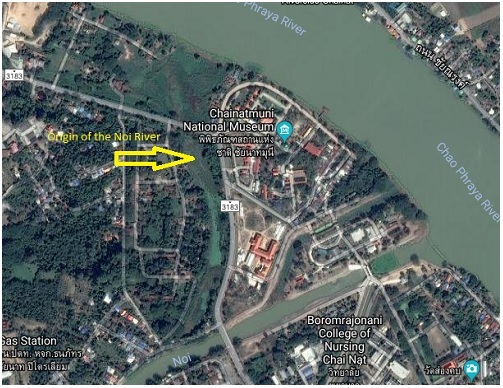 Chao Sam Phraya would have been located at a distance of 75 Km north of his elder brother in San Buri. became at the end of the 16th century a proper municipality, as we find for the first time in the Chronicles a "Phraya of Chai Nat". Ban Chai Nat. 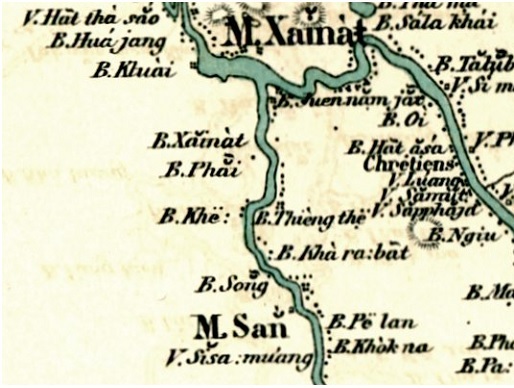 The importance of San Buri finally declined, as many inhabitants moved to the new town. 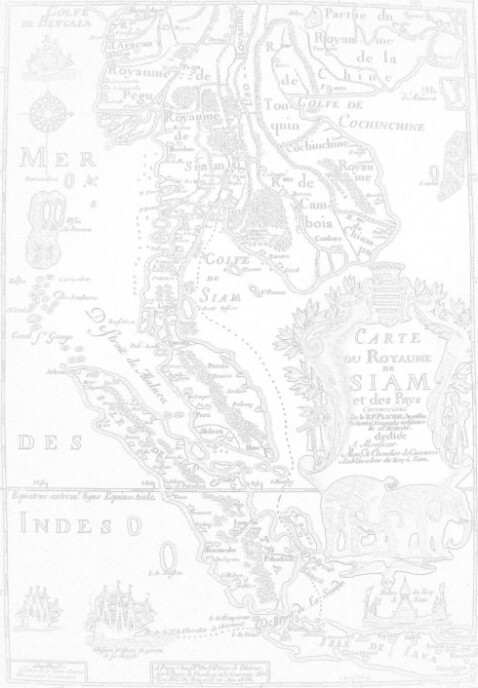 Intralib, Sonthiwan - An outline of the History of Religious Architecture in Thailand (Silpakorn University, 1991). Phra Cakkraphatdiphong & Royal Autograph - King Intharacha, 1409–1424. Baker, Chris and Phongpaichit, Pasuk - A History of Ayutthaya - Cambridge University Press, 2017 – page 63. A History of Siam - W.A.R. Wood (1924) - page 79; Wyatt, David K. (2003) - Thailand, A short history (2nd Ed.) - Silkworm Books. Reverend Phonnarat, Phra Cakkraphatdiphong & Royal Autograph - Various Events, 1552–1555. Phra Cakkraphatdiphong & Royal Autograph - War With Hongsawadi, 1563–1564 - Prince Maha Thammaracha of Phitsanulok. Moves to Counter the Burmese Attack. Bangkok, 1986 - page 93 - Of the Barcalon, and of the Revenues.